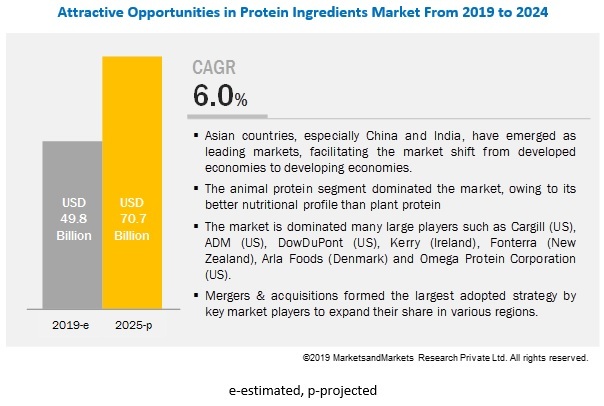 [182 Pages Report] The protein ingredients market is projected to grow from USD 49.8 billion in 2018 to USD 70.7 billion by 2025, at a CAGR of 6.0% during the forecast period. This is attributed to the increase in demand for protein functionalities, awareness about healthy diet & nutritional food, new technological development in the protein ingredients industry, growth in demand for superior personal care and healthcare products, and increase in consumption of animal by-products. The food & beverage segment dominated the application of protein ingredients market in 2018. Growing health consciousness and obesity has compelled consumers to increasingly focus on healthy diets with low-fat and highly nutritive value food, leading to a rise in consumption of protein ingredients. As a result, the demand for functional and health food is on the rise. Besides their nutritional properties, proteins are widely used for their functional properties, which include texturing, emulsifying, solubility, stabilizing, and binding. These functional properties enable manufacturers to lower their raw material costs, as they act as substitutes to some food additives and are used to impart specific properties. The animal protein segment is projected to dominate the market, owing to its better nutritional profile than plant protein, its dominant usage in a larger number of end-use applications such as functional beverages, and difficulty in substituting egg and gelatin in bakery and confectionery applications. The dry form of protein ingredients is largely preferred by manufacturers of food & beverage, feed, and pharmaceutical products as they have better stability and ease of handling & storage, as compared to the liquid form. Furthermore, they have a longer shelf life compared to the liquid form. Dry forms of animal- and plant-based protein ingredients are widely used. The European market accounted for the largest share in the protein ingredients market. This dominance is attributed to high consumption in this region. The consumption in Europe is more than twice the global average consumption. The high-protein trend in food & beverages and personal care & cosmetics is gaining a foothold in Germany, as protein claims on food and drink launches continue their growth path. The increasing prevalence of health-related problems along with high importance being laid on the quality, taste, and freshness of foods is modifying food demand, owing to which, the market for protein ingredients is projected to witness growth. The major vendors in the global protein ingredients market include Cargill (US), ADM (US), DowDuPont (US), Kerry Group (Ireland), Omega Protein Corporation (US), Friesland (Netherlands), Fonterra (New Zealand), Arla Foods (Denmark), AMCO (US), Roquette (France), Gelita AG (Germany), Kewpie Corporation (Japan), AGARNA (Austria), AMCO Proteins (US), Hilmar Ingredients (US), Axiom Foods (US), and Burcon Nutrascience (Canada). These players have broad industry coverage and strong operational and financial strength; they have grown organically and inorganically in the recent past. In November 2017, ADM expanded its ingredient portfolio with the launch of Nutriance, a range of wheat protein concentrates having applications in sports and geriatric nutrition. In April 2017, DowDuPont launched SUPRO XT 55, an isolated soy protein in protein beverages to increase its product portfolio. In March 2017 DowDuPont entered into an agreement with FMC Corporation (US) to divest a part of DuPont’s crop protection business and to acquire FMC Corporation’s health & nutrition business to strengthen its protein business. In January, 2017 Arla Foods launched a new generation of whey hydrolysates to strengthen its whey hydrolysates portfolio to provide new generation proteins in the sports nutrition market. Who are the major market players in the protein ingredients market? What are the regional growth trends and the largest revenue-generating regions for the protein ingredients market? 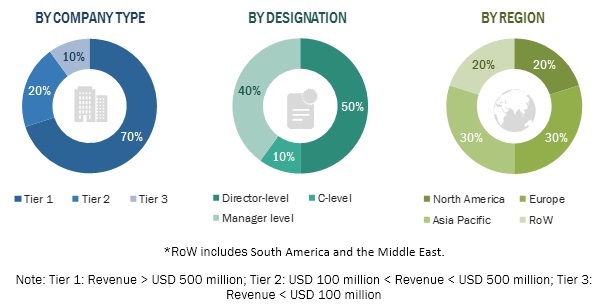 Which are the major regions for different industries that are projected to witness a significant growth for the protein ingredients market? What are the major types of protein ingredients that are projected to gain maximum market revenue and share during the forecast period? Which is the major type of source where protein ingredients are used that will be accounting for the majority of the revenue over the forecast period? The study involved four major activities in estimating the current market size for the protein ingredients market. Exhaustive secondary research was done to collect information on the market as well as the parent market. The next step was to validate these findings, assumptions, and sizing with industry experts across the value chain through primary research. Both the top-down and bottom-up approaches were employed to estimate the complete market size. Thereafter, market breakdown and data triangulation were used to estimate the market size of segments and subsegments. In the secondary research process, various sources were referred to, so as to identify and collect information for this study. These secondary sources included reports from the Food and Agriculture Organization (FAO), Food Safety Council (FSC), Food and Drug Administration (FDA), European Food Safety Authority (EFSA), Food Standards Australia New Zealand (FSANZ), and Food Standards Agency – UK, were referred to identify and collect information for this study. The secondary sources also included annual reports, press releases, investor presentations of companies, white papers, certified publications, articles by recognized authors and regulatory bodies, trade directories, and databases. Secondary research was mainly used to obtain key information about the industry’s supply chain, the total pool of key players, market classification & segmentation according to industry trends to the bottom-most level and geographical markets. It was also used to obtain information about the key developments from a market-oriented perspective. 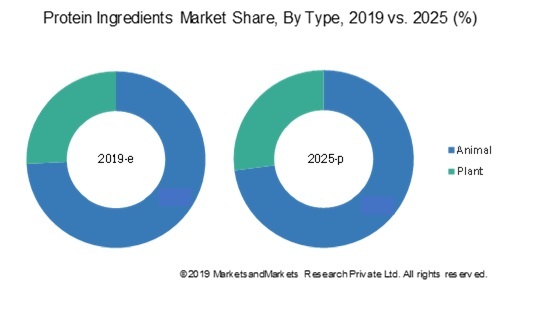 The overall protein ingredients market comprises several stakeholders in the supply chain, which include raw material suppliers and manufacturers. Various primary sources from both the supply and demand sides of the market were interviewed to obtain qualitative and quantitative information. The primary interviewees from the demand side include animal husbandry companies, large-scale ranches, poultry farms, and researchers. The primary sources from the supply side include producers of protein ingredients, suppliers, distributors, importers, and exporters. The protein ingredients market size, in terms of value, were determined through primary and secondary research. After arriving at the overall market size from the estimation process explained above, the total market was split into several segments and subsegments. In order to estimate the overall protein ingredients market and arrive at the exact statistics for all segments and subsegments, the data triangulation and market breakdown procedures were employed wherever applicable. The data was triangulated by studying various factors and trends from the demand and supply sides. Along with this, the market size was validated using both the top-down and bottom-up approaches. Cargill (US), ADM (US), DowDuPont (US), Kerry Group (Ireland), Omega Protein Corporation (US), Friesland (Netherlands), Fonterra (New Zealand), Arla Foods (Denmark), AMCO (US), Roquette (France), Gelita AG (Germany), Kewpie Corporation (Japan), AGARNA (Austria), AMCO Proteins (US), Hilmar Ingredients (US), Axiom Foods (US), and Burcon Nutrascience (Canada). This research report categorizes the protein ingredients market based on type, livestock, source, form, and region.